"...like a bunch of 1960's Citroen designers would do given LSD and a room full of Pokemon....in a good sort of way"
" 4: Oh. My. God!!! My favorite shade of white!!!!! " What if Ford didn't acquired Willys-Overland do Brasil (the former subsdiary of Willy-Overland/Kaiser-Wilys) in 1967? Edit: Ford inherited a car then Willys-Overland do Brasil did in cooperation with Renault, based on the upcoming R12, who'll became the Corcel. But if Ford didn't acquired Willys do Brasil, who could had inherited the Corcel? What if Ford do Brasil had continued to update the Itamary formely known as Willys Aero for the 1970s and beyond? Perhaps not, had they taken Citroen, would Fiat still be interested to Lancia and Alfa-Romeo? What if the Ford board had chosen Joe Oros or Elwood Engel as George Walker's successor(and there was George Walker's protégés) instead of George Bordinat at the head of Ford design? Would we might talk today of "Fuselage Ford" instead of "Fuselage Mopar" had Engel had been head of Ford design instead of Chrysler design? ...Not only did Ford take a bath on the entire PAG experiment, they set the former brands up for success (at least in the short term). In so doing, they created additional competition for Lincoln, but more importantly, they provided Geely with a pathway to the U.S. market via the Lynk & Co brand, and likely the Geely core brand eventually. 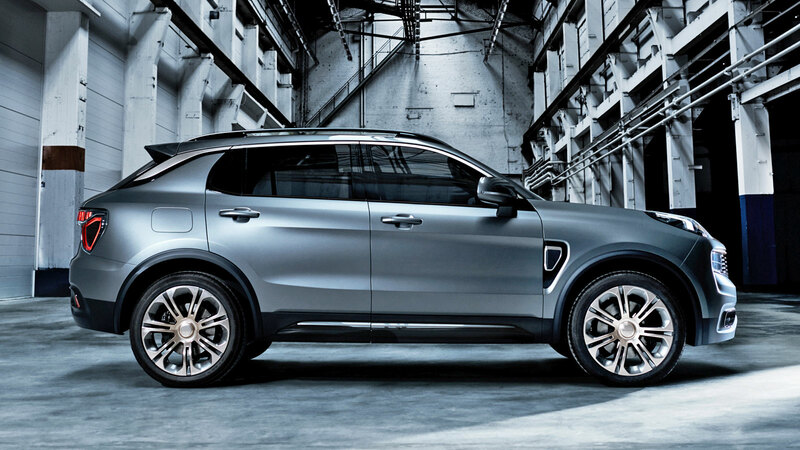 By forgoing the traditional franchise dealer sales model, the Chinese-made Lynk & Co products will have a substantial cost advantage. The Chinese revolution has started, and Ford helped pave the way. One could argue that if they weren't desperate for cash, they would have been better off just shuttering the brands. Better off shuting down the brands or at least kept some stake of around 15-20% of their former acquisitions. ...I've always thought it wouldn't have been too difficult to put together a BoF Panther replacement on the Ranger/Explorer platform. The three lines together would have supported 2 plants and continued investment in the platform. WHAT IF they got merged? + SportTrak? ...copcars/suvs are an obvious beneficiary... with the lead-in planning time, could MAP have been the choice location (with Chicago as SecondCity)? What if Studebaker had made the Avanti body using steel instead of fiberglass? What if there was no Auto-Pact between Canada and the USA? -Would Dusters, Scamps badged as "Valiant Duster" instead of "Plymouth Duster" since Valiant continued to be sold as a separate division a bit longer in Canada? -Would Mercury still offer Mercury trucks and vans in the 1970s and 1980s? Edit: the same question could apply if Canadian Plymouth dealers still sold Fargo in the 1980s. Chrysler wanted to name their upcoming compact car the Valiant as the Falcon, after Exner's 1955 Chrysler Falcon show-car but they didn't kept the rights on the name and Ford grabbed the name. What if Chrysler had kept the name rights to use Falcon instead of Valiant? And what name Ford could had used instead if Chrysler had kept the name rights of Falcon? What if Virgil Exner Sr. hadn't survived his 1st heart attack in 1956 when he supervised the development of the 1959-1960-1961 Chrysler models? Btw there's also the pre-war Riley Falcon and it's a peach!